While the consumers focus on the big brands like Motorola, LG, Sony, Samsung, Pebble, on their smartwatch offerings, China has flourished with dozens of unknown brands and models. Personally, I would prefer to pay more for established brands who provide proper sales and software support to ensure the products has extensive useful life. However, if the products are cheap enough, I might just bite the bait and give it a try. Such is the case for ZGPax S28. When I ordered from Focalprice in October, it was selling for less than US$50 and took a month to arrive. 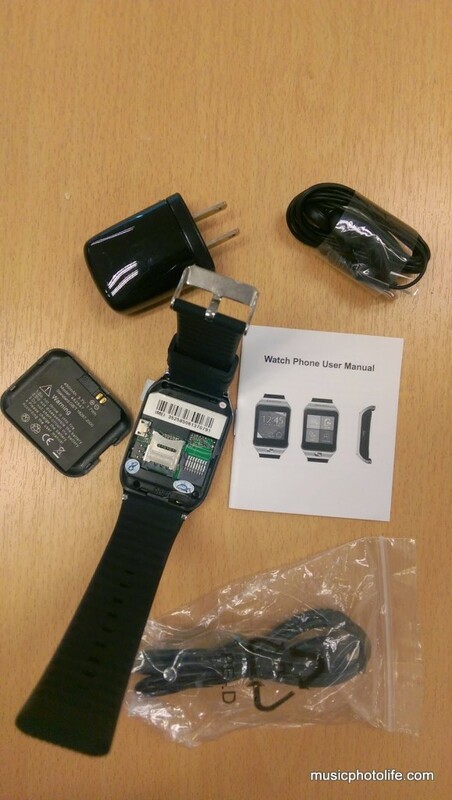 After the purchase, I found that someone is selling in Lazada Singapore for only S$57, provides 1-year local warranty, and delivers within 2 weeks. If you are convinced to get one after reading this, go for the Lazada purchase. 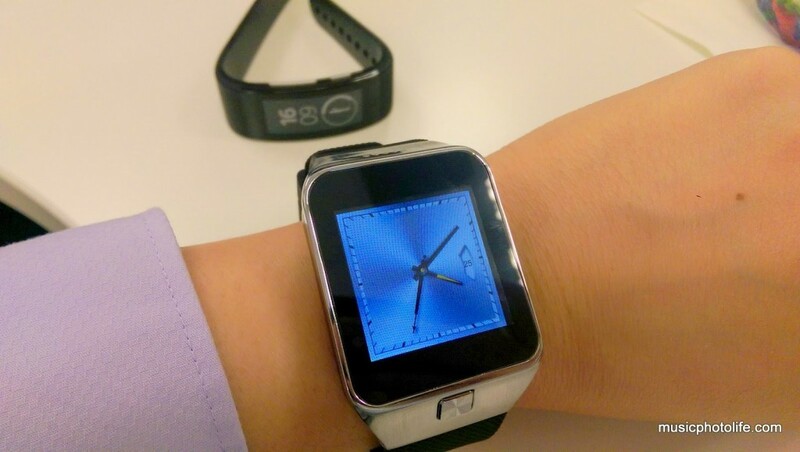 Design-wise, the watch face is made of a metal frame and a touchscreen which has a screen protector pre-applied. There is a button below the screen and speaker holes above it. 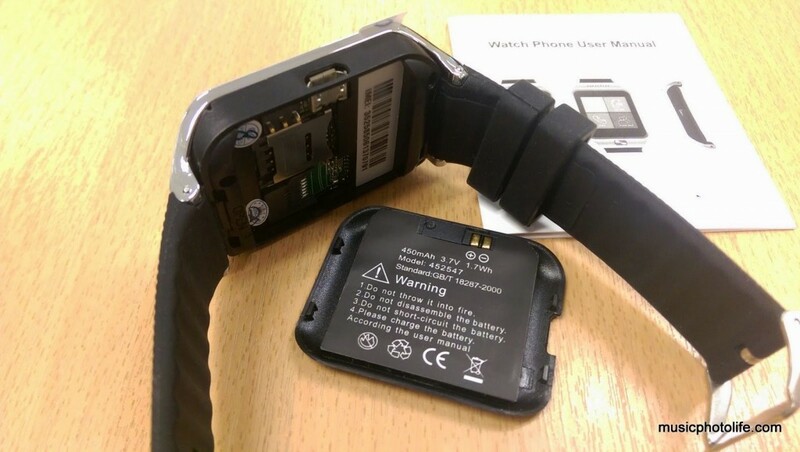 This smartwatch is not just a normal smartwatch. Notice that it supports voice SIM card slot, which means it can make and receive calls without pairing with a smartphone. 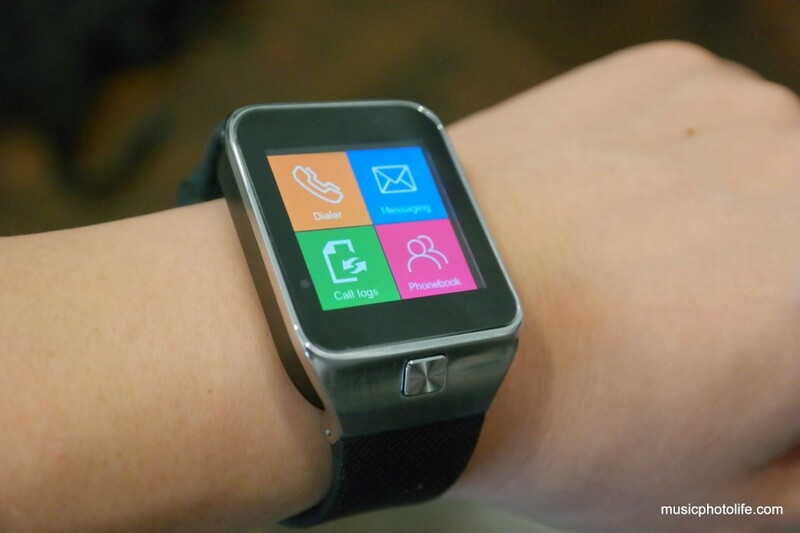 It sounds just like Samsung Gear S, except you can use this watchphone on any Android device. I highly recommend getting a rubber dust cover to cap the micro USB port. Since the watch will be worn on the wrist, there are high chances of getting the watch a little wet while washing your hands. The S28 leads a double life. 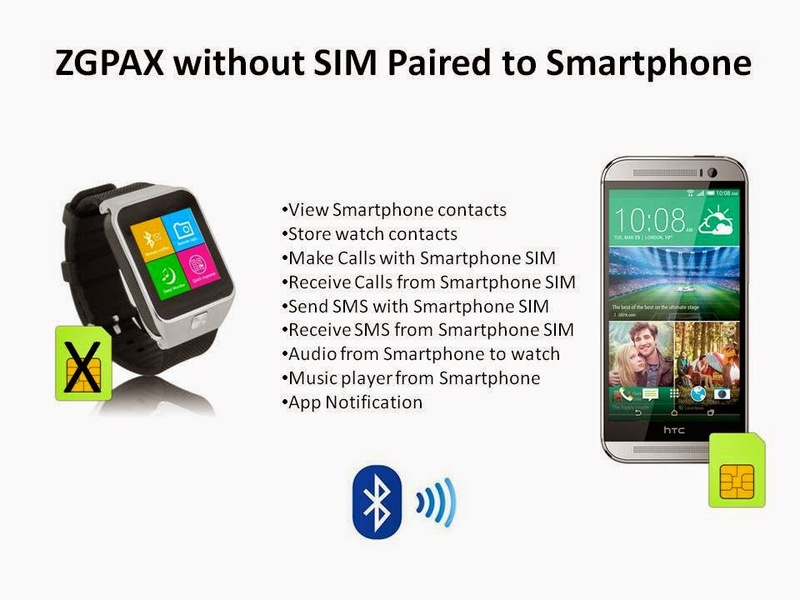 It can receive or make calls via Bluetooth to the paired smartphone, or it can receive or make calls via the watch SIM. 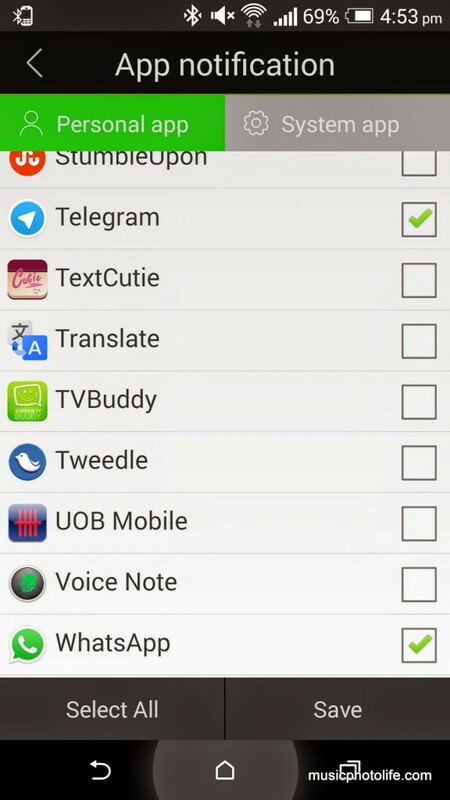 Similarly for Contacts, SMS messages and notifications, the S28 will have separate tabs to access both. You can also stream music from the smartphone to the S28 speaker, and control music tracks on your smartphone via the S28. 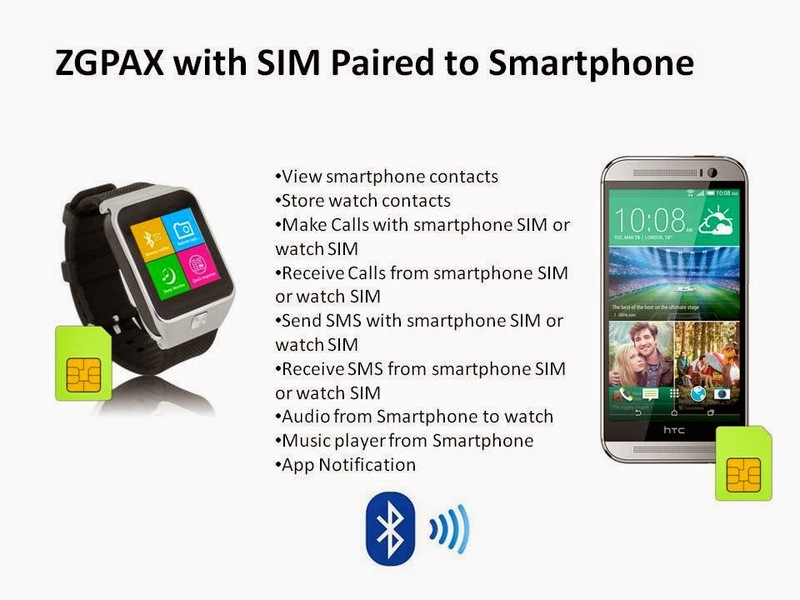 For each of the features, the S28 allows you to select which SIM you want to take the action. This offers great control over managing your calls and messages, and may be an interesting alternative for a dual-SIM or multi-SIM scenario. If you choose to use the S28 as the primary phone device, and not wanting to speak directly into the watch mic, you can pair the smartwatch to a Bluetooth headset and take calls with it. 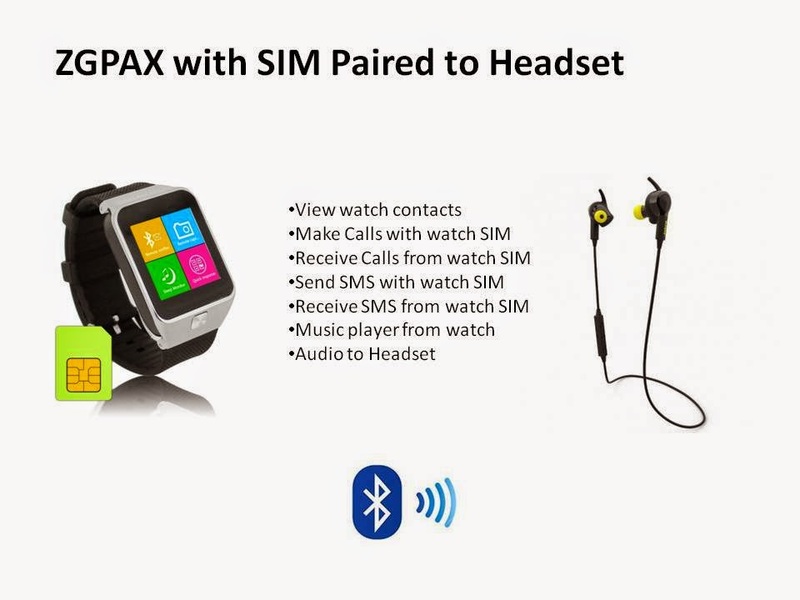 You may also listen to music tracks stored in the smartwatch through the headset, but only if the S28 is not connected to a smartphone. The package comes with a wired headset, but it’s not going to look cool listening to music wired to a watch. This set up is also perfect for a jog without having to carry your smartphone. Old school phone users will find the menu somewhat familiar. When you go into the phone settings, you will find the old GSM phone’s menu list like phone settings, call settings, notification settings, security settings. Phonebook contacts are taken either from the SIM card or stored locally on the S28, or you can access phonebook entries of your paired smartphone. While the S28 provides an on-screen keyboard for composing messages, I find it too small to type quickly, but short simple messages are achievable. There is no voice control functionality to support inputs. The main menu list can be re-arranged to your fancy by holding and dragging the icons. After one month, I must say that I am liking the S28. It has proven to be reliable in maintaining the Bluetooth connectivity and keeping me alerted with incoming events. 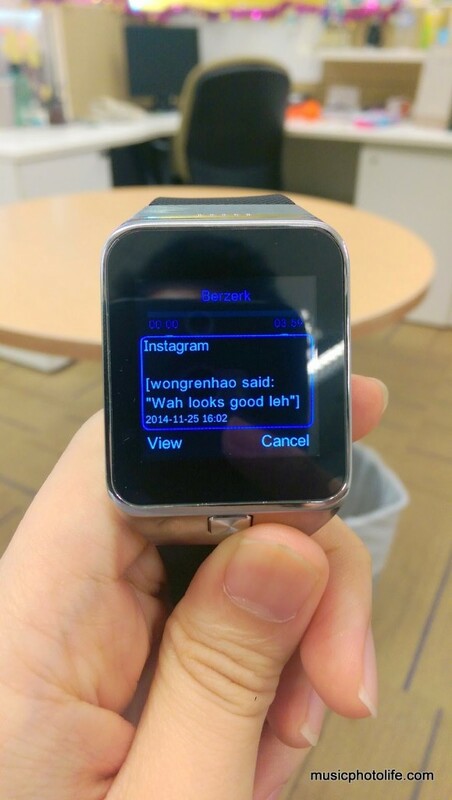 My primary need for a smartwatch is notification, and the S28 does it fine. On the Android device, I just have to install “BTNotification” app and you can pick which app notifications to show on the S28. I have basically muted (no vibrate, no ringtone) my smartphone after I started using the S28, which made my life a little more stress free. How so? Without ringtones, I am not stressed to pick up the call or risk making a din with the ringing sound. With alerts on my watch, I am not worried about missing any calls when I leave my phone in silent-mute mode. All I do is to click the button on the S28 to see if I have missed any notifications. The S28 battery lasts about 2-3 days. There is an icon showing roughly how much battery remains, but without a number gauge, I won’t be able to tell whether I’m 49% full or 20% empty, so I usually charge every 2 days. There are however, some a lot of limitations that I can live without, considering how affordable this gadget is. – Cannot sync local phonebook from smartphone, so good luck in populating phonebook entries manually, if you really need it. – No battery percentage indicator. 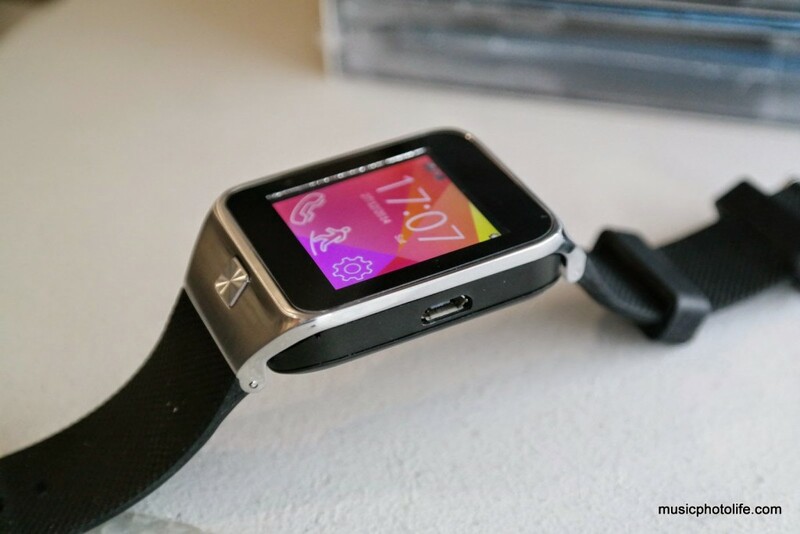 The ZGPax S28 is nowhere close to the list of functions the Samsung Galaxy Gear S offers. But hey, so is the price. If there are features listed above that you really must have, then I guess the Gear S is for you. I was not expecting my US$50 purchase to offer me so much geek satisfaction. 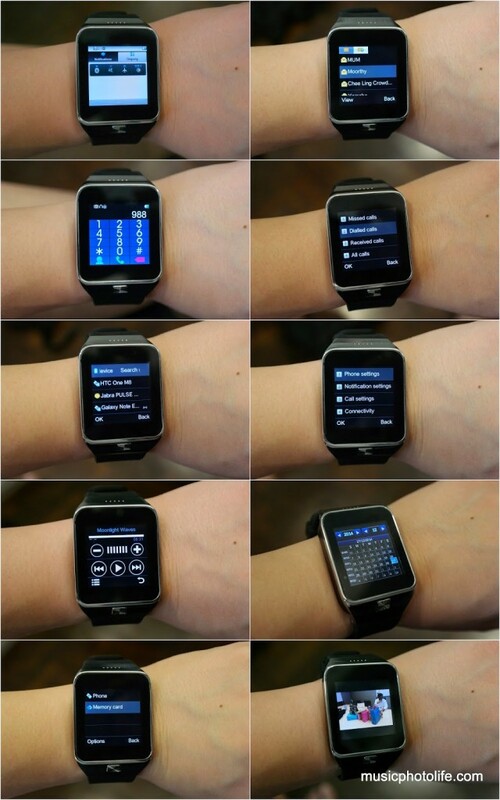 Of course you will get a lot more features and customisability with branded smartwatches, but at what price. I do love the round watch faces of Moto360 and LG G Watch R, but this US$50 gadget has given me the joys and benefits of a smartwatch without breaking the bank.